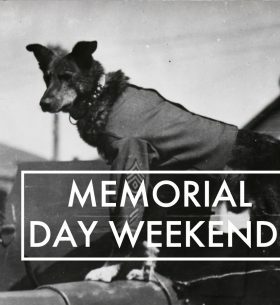 Celebrating Memorial Day Weekend, Veterans and Freedom! 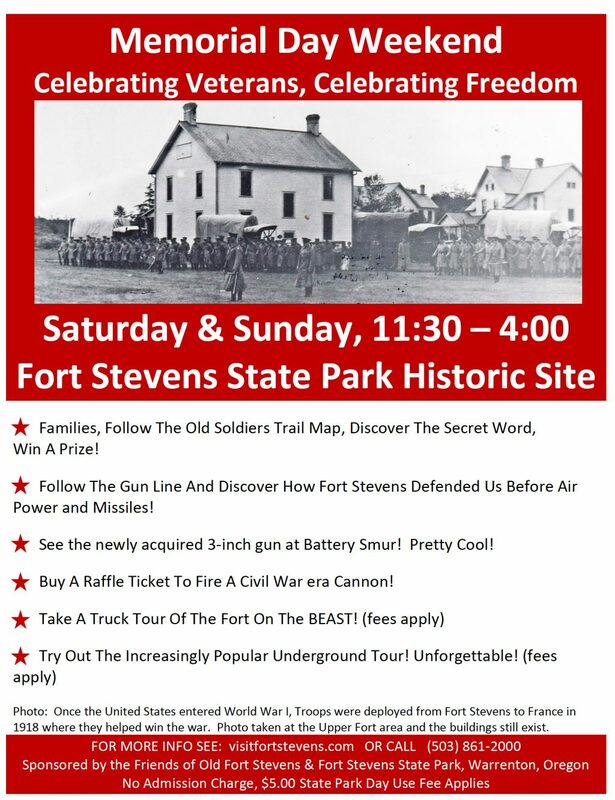 Saturday and Sunday, 11:30am-4:00pm at Fort Stevens State Park Historic Site. Families can follow the Old Soldiers Trail Map, discover the Secret Word and win a prize! Follow the Gun Line and discover how Fort Stevens defended us before air power and missiles! See the newly acquired 3-inch gun at Battery Smur! Buy a raffle ticket to Fire a Civil War era cannon and more!